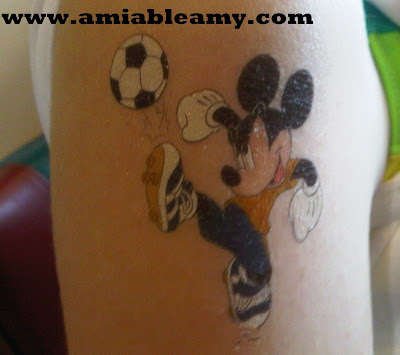 Miss E wanted a temporary tattoo on her arm so; she chose the Mickey playing the soccer ball. She is a soccer ball player in her school so; she was so delighted to see this. It's about $6 and she likes it. Then, she bought a Goofy hat and found the character in the park. Her mom took a picture of her and Goofy.